A sunset boat party, classic car show, LGBT film festival and plenty of art exhibitions keep you busy in Rangoon this week. This sunset party returns, featuring numerous DJs and food and drink on the Royal Irrawaddy’s upper deck. Jan. 28, Arrive between 4:30-5:30 for departure. Botahtaung Jetty, The Royal Irrawaddy Boat. Cost is 15,000 kyats—one beer is included in the price. 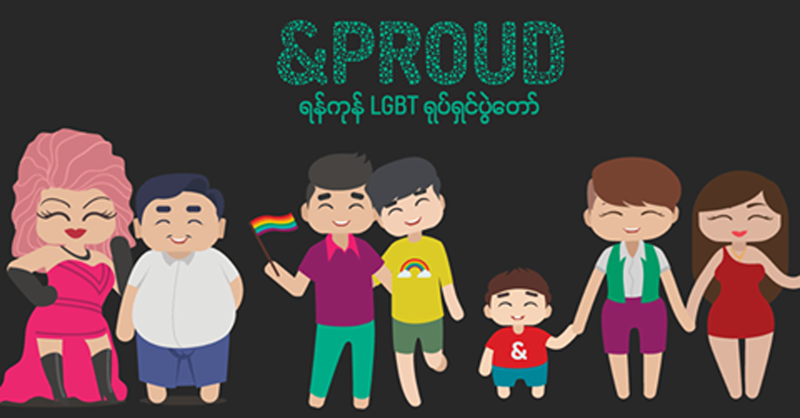 The third edition of this LGBT film festival will be held in support of Burma’s LGBT community. Jan. 26-29. Institut Français, Pyay Road. More than 40 vintage and classic cars, some of them manufactured a century ago, will be showcased along with music, magic and old films. Jan. 28-29. Culture Valley, People’s Park. Admission fee is 1,000 kyats. Artists organize a charity show for the rehabilitation of Naga children who suffered from a measles outbreak last year. Donations in cash and kind can be made at 09-450028339 and 09-973085669. Jan. 28, 7 pm. National Theater, Myoma Kyaung Street. Several of Burma’s chart-topping singers including Zaw Win Htut, R Zarni, Chan Chan, and Hay Mar Nay Win perform at this show, which also features an Anyeint performance. Jan. 29, 7 pm. National Theater, Myoma Kyaung Street. 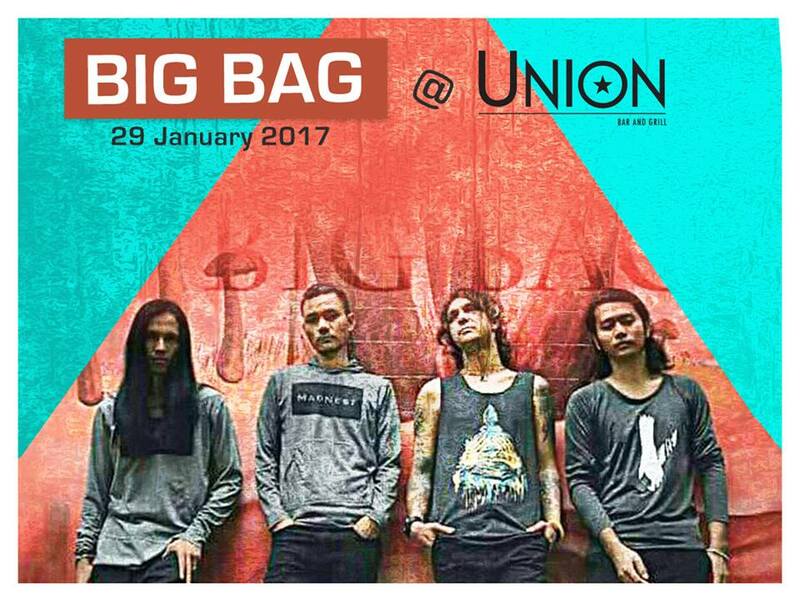 Big Bag performs at Union Bar. Space is limited so advance ticket purchase is recommended. Jan. 29, 7 pm. Union Bar & Grill, Strand Road and 42nd Street. Entry Fees is 10,000 kyats. 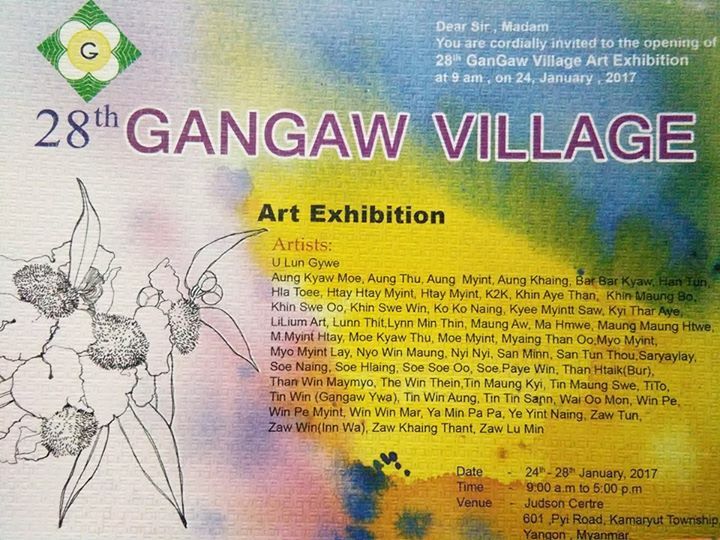 The 28th Gangaw Village group art exhibition will feature more than 100 works of some 50 artists. The first edition of the exhibition was held in the 1970s. Jan. 24-28. Judson Center, No. 601 Pyay Road, Kamayut Township. 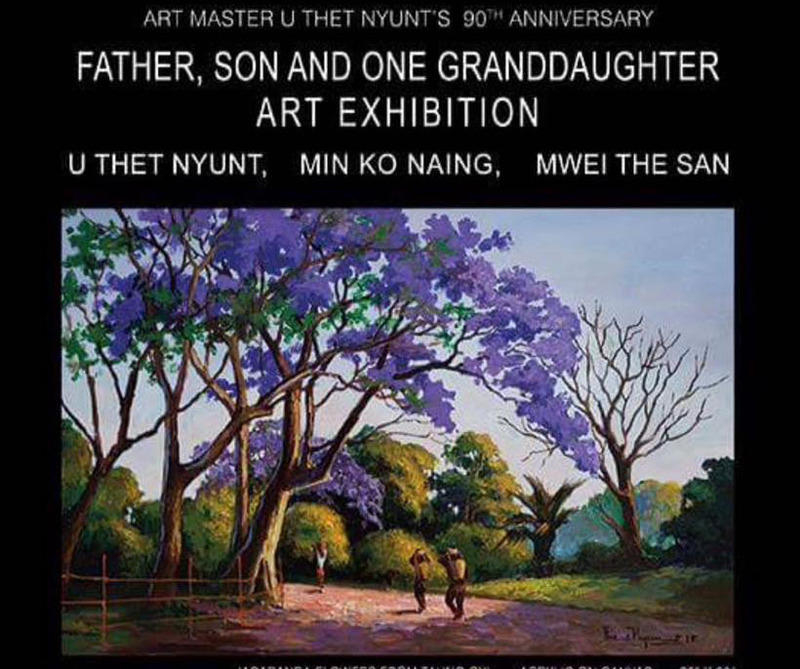 Artist U Thet Nyunt, his son U Min Ko Naing and granddaughter have an art exhibition, featuring about 200 acrylic and watercolor paintings. Jan. 29-Feb.2. New Treasure Art Gallery, No. 84/A Thanlwin Street. 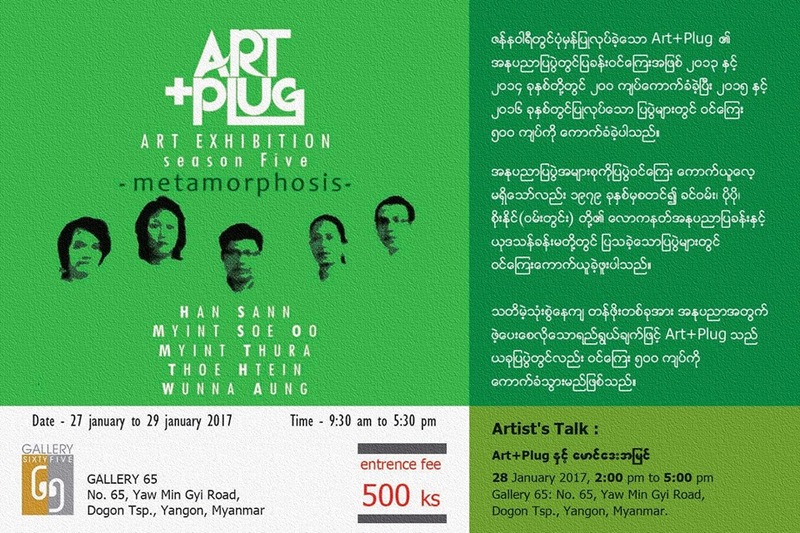 This group art exhibition by five artists features new media. Jan. 27-29. Gallery 65, No. 65, Yaw Min Gyi Street, Dagon Tsp. Admission fee is 500 kyats. 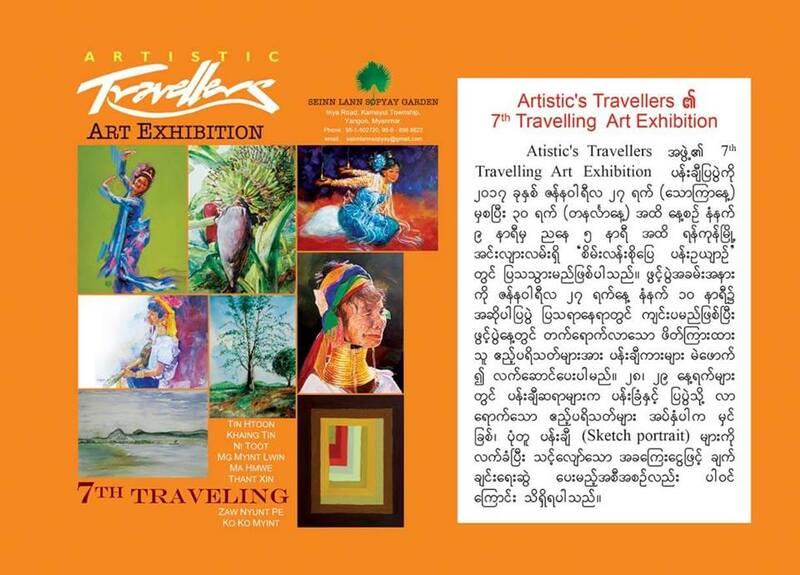 The 7th Artistic Traveler art exhibition features more than 60 paintings. Jan. 27-30. Sein Lan So Pyay Garden, Inya Lake, Inya Road.